We have an active Junior section with about 30 boys and girls learning to play golf. The Junior Team Organiser is Chris Oakes, he is aided by Philip Kay who is a PGA Level 1 Volunteer Coach. The PGA Professional is Steve Russell. Call Steve on 01746 762045 or email for junior information. 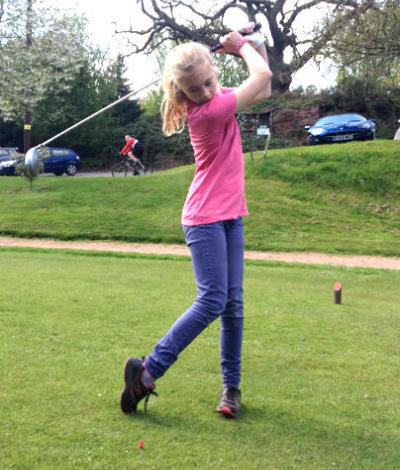 Junior membership rates for boys and girls is competitively priced. The playing year commences on 1st April and the age as of 1st Jan is used for the above rates. Adult FULL members of the club who have children or grand children can enrol children for free (except Insurance & affiliation fees). 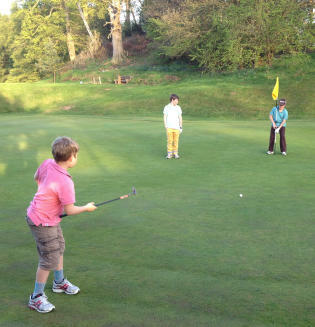 Membership entitles the Junior to attend Junior night on a wednesday 6-7.30pm where we have coaching, games and competitions to introduce the children to golf in a safe and friendly atmosphere. Juniors can play the course and are encouraged to gain a handicap and when of a reasonable standard enter junior and later adult competitions. Junior boys and girls can learn how to play golf at our Golf Academy. Steve Russell runs his popular Golf Academy during the Spring each year. Groups are made up according to age and ability. Juniors (ages 6-14) on Saturday afternoons from 12-2pm. The cost is £25 per block of five 1 hour lessons. Lessons take place on the Bridgnorth Golf Club practice area on Stanley Lane. All clubs and balls provided if you don't have any. If you attend the lessons you are welcome to come to the Junior Club Night on Wednesday evenings 6-7.30pm throughout the summer. You can join the club as an Junior member and play the course and go on to gain your handicap. Junior Club night takes place during the Spring and Summer on Wednesday evenings commwencing April 18th 2018 from 6-7.30pm at the Club House using the first 3 holes of the course. More experienced are encouraged to play the rest of the course in groups of 3 or 4. Younger players (boys U11 and girls U13) can take part in the popular Pee Wee Tour playing at county courses during July and August. These are non-handicap competitions played on short holes. We would encourage all Academy members to enter these events. Players with handicaps under boys 28 and girls 36 and below can take part in county competitions see www.shugc.com for more details. Well done to all the Juniors who took part in all the competitions during 2017. These are the winners! Bridgnorth Golf Club take your child's safety seriously. The Professional, Assitant Professional and Junior Organiser hold current CRB certificates and have undertaken Safegaurding & Protecting Children in sport training. 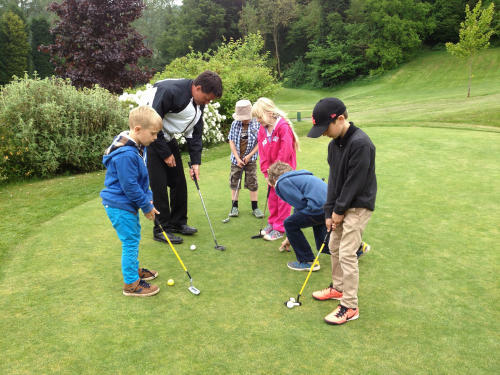 By following the guidelines set out by the Children in Golf Strategy Group, the Steve Russell Junior Golf Academy and Bridgnorth Golf Club can assure you that the sport of golf is one within which children and young people involved can thrive and flourish in a safe environment.